The Irish parliament is celebrating Irish women in nineteenth century politics and public life. Along with women in England, Scotland and Wales, 1918 was the first time any Irish women were permitted by law to vote and stand in parliamentary elections. To mark the centenary, the Houses of the Oireachtas, Ireland’s national parliament, is hosting a programme of events to highlight the history of the suffrage movement and its leaders in Ireland and the impact of the wider voting rights. In 1918 the whole of Ireland was a part of the United Kingdom of Great Britain and Ireland, and was represented in the British Parliament by 105 MPs. The general election held in 1918 was also when the first woman was elected to the British parliament at Westminster. But that woman, Constance Markievicz, who represented a Dublin constituency, never took her seat at Westminster. Instead, she joined the revolutionary first Dáil (Irish for ‘Assembly’), which declared Ireland an independent republic, and became the first female Deputy to the Dáil (TD) – and the first female Minister in western Europe. And the Irish parliament’s Vótáil 100 committee will present a portrait of her to the speaker of the House of Commons, John Bercow. Markievicz, who narrowly avoided being executed for her role in the 1916 Easter Rising, was in Holloway Prison at the time of her election, and like all Sinn Féin MPs, then and now, she was elected on an abstentionist platform, and so even when free to do so never took her seat in the House of Commons. The oly other women who stood in the general election of 1918 in Ireland was Winifred Carney. A member of the Irish Citizen Army, she was a close friend of and secretary to James Connolly. She was in the GPO during the Easter Rising in 1916 and was interned after the Rising. She continued to work for the trade union and labour movements and was critical of the social conservatism of Irish governments after independence. She stood in a unionist division of Belfast, but was not elected. Nancy Astor was the first woman MP to take her seat. She was elected to Parliament on 15 November 1919. Among the other women in the exhibition are Dr Ada English, Hanna Sheehy Skeffington, Dr Kathleen Lynn, Kathleen O’Callaghan, Margaret Pearse, Kathleen Clarke, Caitlín Brugha and Margaret Cousins. Dr Ada English was a Member of the second Dáil and one of the first female doctors in Ireland. She was a modernising force in Irish psychiatric medicine, but was also prominent in the republican movement as a member of Cumann na mBan and Sinn Féin. Hanna Sheehy Skeffington was one of the co-founders of the Irish Women’s Franchise League. She was imprisoned and dismissed from her job as a result of her militant campaigning for the vote. After 1918, she remained active in politics and feminism for decades, and campaigned against the 1937 Constitution. She stood unsuccessfully in the 1943 general election. Dr Kathleen Lynn was elected to the fourth Dáil in 1923, but did not take her seat as she opposed the Treaty. She was one of the first women to obtain a medical degree from the Royal University of Ireland and founded a children’s hospital. She joined the suffrage movement and was a medical attendant to feminist hunger strikers from 1912. During the 1916 Rising she was chief medical officer of the Irish Citizen Army. Kathleen O’Callaghan came from a republican family and was a Member of the second Dáil of 1921. She was returned to the third Dáil in 1922 but, as an anti-Treaty candidate, refused to take her seat. Although she retired from active politics, she opposed the 1937 Constitution of Ireland. 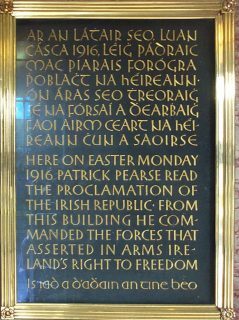 Nationalist and dáil deputy Margaret Pearse was the mother of Patrick and William Pearse, who were executed after the 1916 Rising; she was then regarded as a figurehead in Irish nationalism. She was a Member of the second Dáil of 1921 and opposed the Treaty. Kathleen Clarke was a Member of the second Dáil and the short-lived fifth Dáil, and was later nominated to the Seanad. She started her own business at the age of 18 but later dedicated her life to working for Irish independence. After the Easter Rising, with the leaders executed or imprisoned, Kathleen Clarke was instrumental in continuing the campaign for independence and was imprisoned in Holloway Prison. In 1939, she became the first woman Lord Mayor of Dublin. Caitlín Brugha was elected to the fourth Dáil in 1923 and was re-elected in 1927. Her seat had previously been held by her husband, Cathal Brugha, who had been killed fighting for the Republican side in the Civil War the previous year. She opposed the Free State government and abstained from taking her seat. Margaret Cousins was one of the co-founders of the Irish Women’s Franchise League. She travelled to England to learn militant tactics, marched in Black Friday and was imprisoned in Holloway. In 1913 she was jailed in Tullamore prison for breaking windows. After moving to India, she continued to campaign for women’s rights and became the first female magistrate in India. 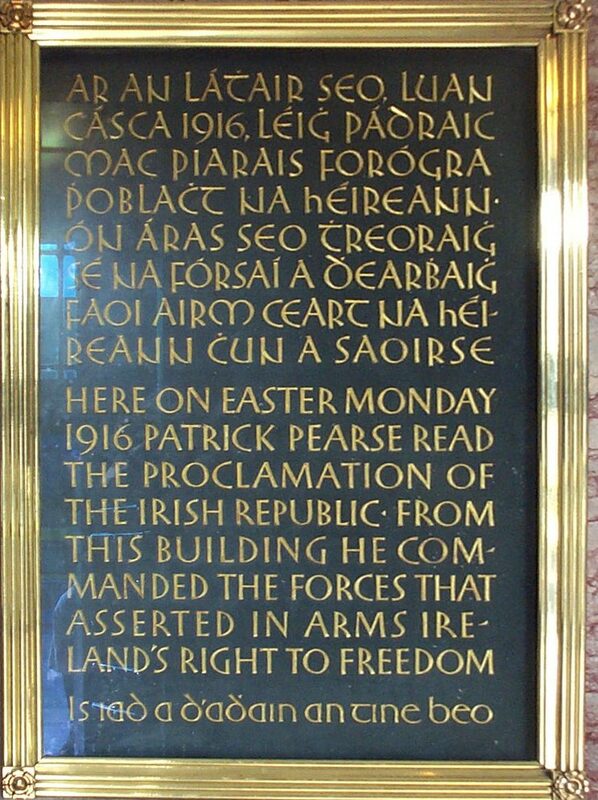 To see the full programme of the events organised by the Houses of the Oireachtas Vótáil 100 click here. Seán Ó Fearghaíl, the Ceann Comhairle (Speaker) of Dáil Éireann, presented the portrait of Constance Markievicz to Commons Speaker John Bercow during a reception at Speaker’s House earlier this week. Describing Markievicz as an extremely well-educated “legendary figure” and member of the Anglo-Irish aristocracy, Ó Fearghaíl said she “decided to put her considerable talents at the disposal of the public… working for the less well off”. She was, he said, “an outstanding role model” for young women considering a career in politics. Bercow, who clearly has his diplomatic moments, is reported to have said Markievicz “holds a unique place in British and Irish history”, adding that people should not under estimate “just how tough it was” for a woman in politics at that time.